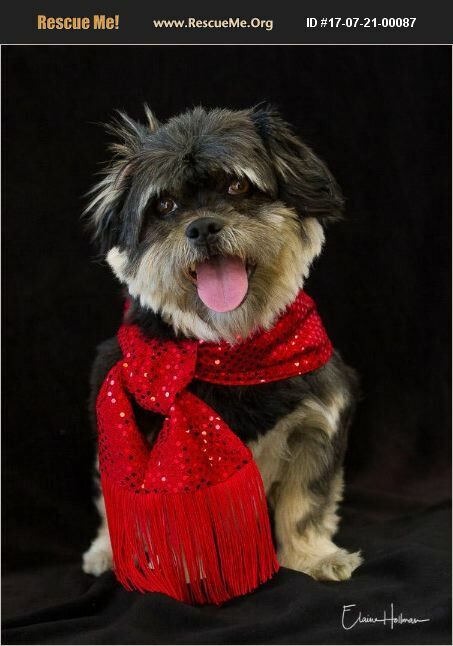 WILLOW is a super cute black and tan Shih Tzu /Pug Mix. She is about 2 years old and weighs 19 lbs. WILLOW was found wandering the streets, begging for food and water. She was in very poor condition, with over 200 large ticks covering her body. Despite it all, her spirit was strong and her adorable personality shined brightly. She is now recuperated and ready to begin a beautiful new life. WILLOW has SO much love to offer, and she would be SO grateful for a loving family to make her their forever 'special little fur girl'. Her Adoption Fee is $225 and includes Spay, Microchip with Registration and Up to Date Vaccines. Available for Adoption in CA ONLY! For more information, or to submit an online application, visit our website at www.saveasmalldogrescue.org. Thanks!